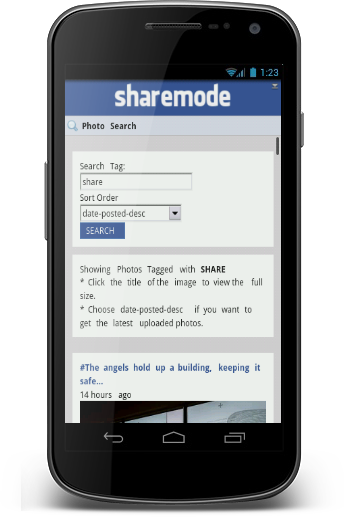 ShareMode Mobile is a community where people can share their photos online using their mobile devices or any other devices can access the internet. Our users share their amazing photos to other users and rate those photos using Like and Dislike buttons. 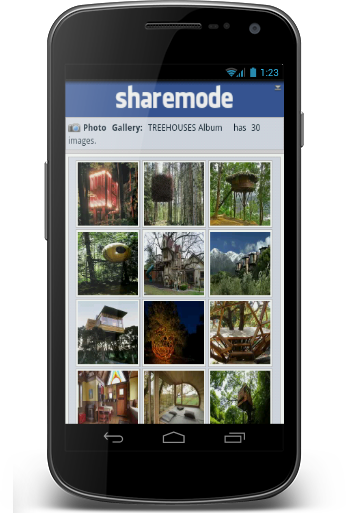 Our mobile site is now hosting over 500+ photos on our gallery and 300+ shared by users and over 190 million photos on our photo search with a maximum 100 photos per tag. To share your very own photos and let the world know you have a good talent when it comes to photography. If you have an account you can login here , otherwise you can Sign Up here and join our users from United States. -- it's free! or access our community without making an account here but some of the photos is not viewable in public, only registered users can see those private photos. However, unregistered users can still leave a comment. Our gallery contains group of photos shared and uploaded by our users. With a minimum of 15 photos per group you can enjoy viewing those photos in a grid view and download them for FREE! 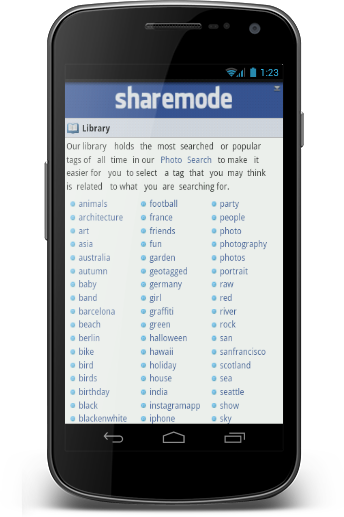 Our library is a collection of mostly used or popular tag in Photo Search for an instant viewing without typing a keyword. Just click a link from the tag list and you can easily start viewing photos. Our photo search is the best way to view photos from around the world. By typing a single keyword tag you can have a maximum of a hundred photos from 190 million photos on the database. These sharing buttons will work only if you are on our community.